EastEnders Spoilers indicate that Mel Owens is beginning to crack under pressure as Hunter goes missing. In other words, she is afraid that someone will find out about her dark secret soon. Here’s what you need to know. 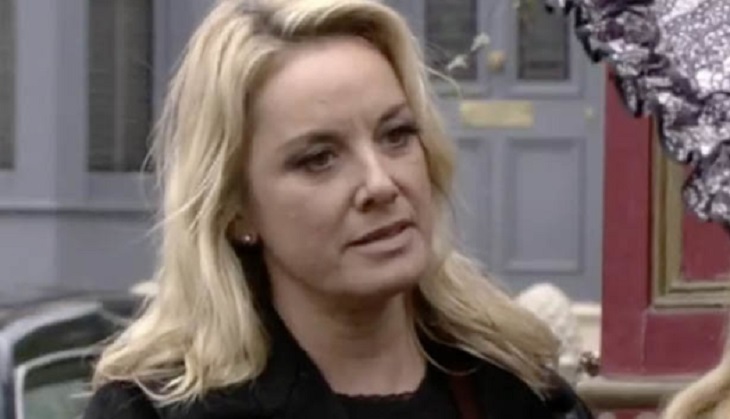 EastEnders spoilers tease that Mel is feeling incredibly stressed as Hunter disappears without a trace. She decides to tell the police the truth about what happened and details everything that went down on New Year’s Day. Unfortunately, it turns out to be too much for Hunter as he panics, worried that he might end up behind bars once again. To complicate matters even more, Mel receives even more bad news when Maddie reappears and demands money from her. This leads to a showdown between the two women. When Mel refuses to help, Maddie crosses the line. She gives her a piece of her mind and makes a few spiteful comments about Hunter, prompting Mel to snap. Soon after her tense showdown with Maddie, Mel has a change of heart about her confession. She feels relieved once Hunter returns home but her relief is short lived after she finds out that Hunter has gotten himself into even more trouble while he was gone. For Mel, it’s just one issue after another and she can’t handle it anymore. As a matter of fact, many EastEnders fans are worried that this might lead to a major mental breakdown for the blonde beauty. Of course, fans will have to tune in to find out what will happen next! EastEnders airs weeknights on the BBC and is available on Britbox in the U.S. Check your local listings for times. In the meantime, drop us a line with your thoughts in our comments section below.